Best of all, NEW heat riser elbows , Ram cars , 60-62, 10 mm thicker flanges , unlike the exact copies, no more cracks or breaking off , beautifully machined, ductile material, longer slots no gaskets, $225 a pair –will NOT be made again. 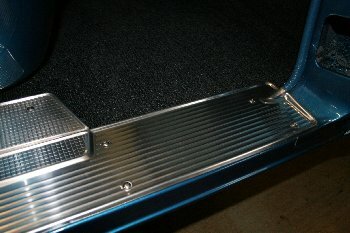 Door Sill Plates! 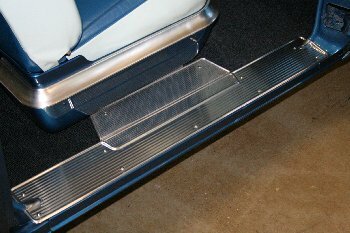 We have beautiful reproduction door sill plates for 57-59 Dodge, DeSoto, Chrysler, and Chrysler 300. Made in Sweden; we are your exclusive U.S. distributor. The stampings are crisp and clean; they will look stunning in your car. Photos are available on our website at www.jcauto.com. $385/pair plus shipping (sold in pairs only). We accept all major credit cards, checks, and money orders. JC Auto Restoration, Inc., 20815 52nd Ave W #2, Lynnwood, WA 98036. Tel: 425-672-8324, Fax: 425-771-2522, email: jcauto@jcauto.com. Serving the MoPar community since 1978. Parts for a couple of years! 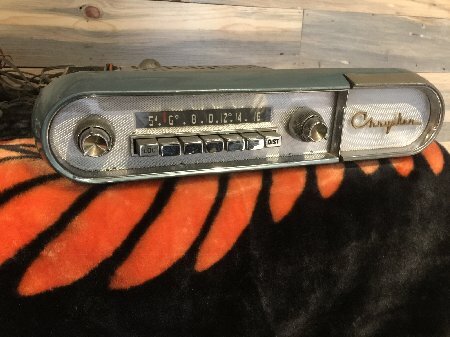 10/18/18 I have an original radio with the bezel and ash tray and I believe it is from a 1957 300. For Sale - 1957 Chrysler Rear Window for 1957 Chrysler 300/New Yorker. Window found in out building of estate of Louis Papp. 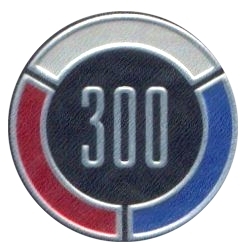 Louis Papp, was a Chrysler 300 Club member for years. He had a 1957 Chrysler 300C. I have a correct restored/re-cored 1960 AirConditioner radiator for 1960 300 F, Saratoga, and New Yorker models. I had it done for my 1960 Windsor convertible not realizing the size is different. Milt McMillen 608-385-5356 Asking $1200. 300 K for parts or restore. Complete car with original 360 HP 413, cruise control, radio w/ power rear antenna and reverberator, power windows, still has original maroon/burgandy paint and white interior. No radiator but may be able to provide one. Needs restoration or buy for parts. Ca. sheet metal in excellent condition throughout. I bought this car as a parts car but it is too good to part out in my opinion. No idea on condition of drive train. No power seats but I have extra power frames and motors. $1,000. Still have used black leather seats and material. Also have rust free floor/trunk pans I cut out of a silver special 300. P code 1960 413 engine with aluminum 727 trans out of a 1963 car. All of above in Central California. 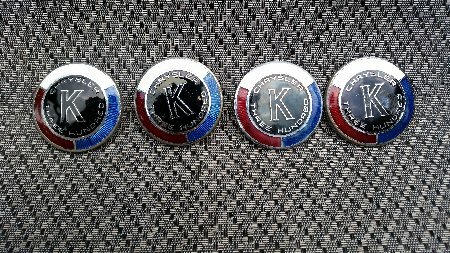 I have 4 - 1964 Chrysler 300K emblems for sale and would like to list them.Three of them are in perfect shape, one has a slight blemish in the black. I would like to get $400.00 for the set. Email debblisitza@gmail.com. Not sure what shipping costs would be as I live in British Columbia Canada but could find out if interest is shown in purchasing the emblems. 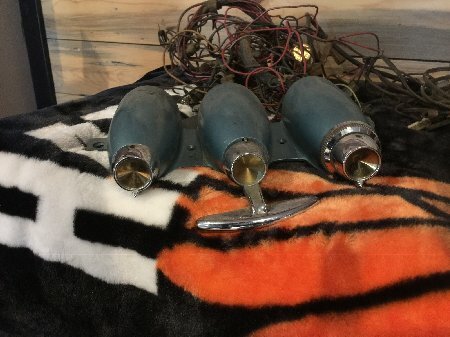 I have a 1965 Chrysler station wagon without engine or transmission, otherwise complete with another set of 13” knock off Dayton wire wheels in the back. The roof edge under the vinyl has some rust. It is available as an entire unit or for parts. If no one wants to stop by and take parts off of it when they come to the San Diego meet next week it is going to what is now LKQ or used to be pick-a part. I also have a 1965 Chrysler New Yorker 4 door hardtop that is for parts or to register in another state because no one non op-ed it in CA and the fees are way high. It does not have an engine or transmission but is complete otherwise. Would have to look to see if radio is still in it. If no one wants to take parts it is going to the same location shortly. They both are outside my building at present and I plan to put a trailer in that location in the near future. So if anyone in the 300 club attendance wants to stop by and remove parts off either of these cars for their Chrysler they are welcome to come on by. Prices will be cheap.